Martin Cate is a well-known name in the Tiki world. He is a rum and exotic cocktail expert, owner of the Smuggler's Cove, and author of a cocktail/tiki book called, Smuggler's Cove: 'Exotic Cocktails, Rum, and the Cult of Tiki'. Here at the Senior HQ we absolutely love his book and insights on the tiki cult, but, let's be honest, we're really in it for the cocktails. 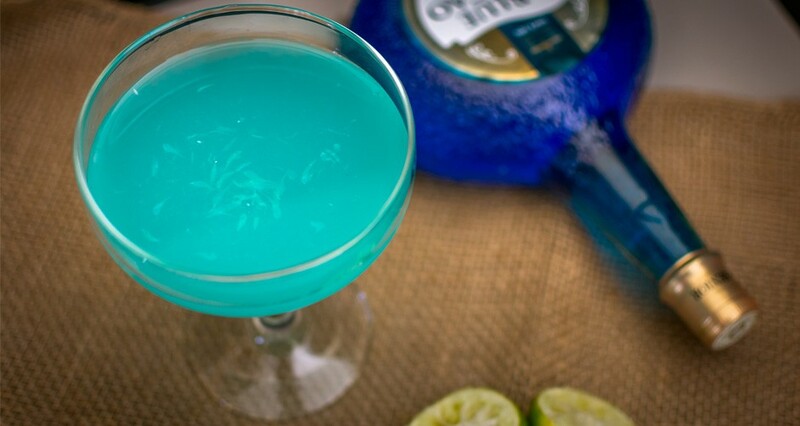 Blue Curaçao is not an ingredient you will often find in cocktails, so when we spotted the Juan Ho Royal cocktail recipe we immediately had to give it a try. The result was amazing. Test it for yourself. Add all ingredients, except the sparkling wine, to a shaker and fill with ice. Shake well and double strain into your glass. Top it off with the sparkling wine.